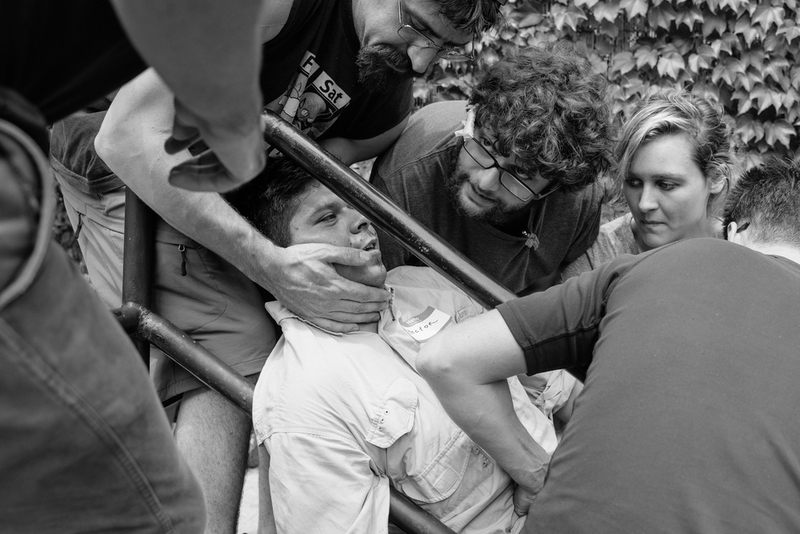 Last month, RISC (Reporters Instructed in Saving Colleagues) held their tenth training class at the Bronx Documentary Center in New York City. 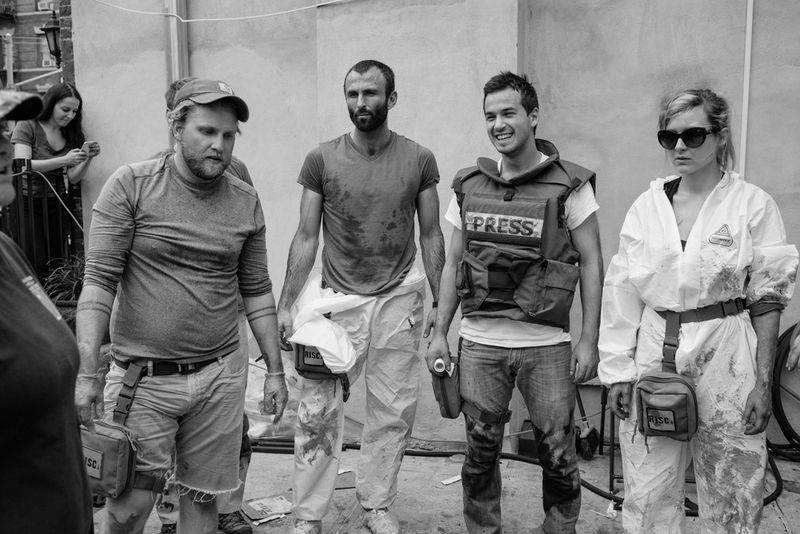 If you’re not familiar with RISC, it’s a battlefield medical training class for freelance conflict reporters. 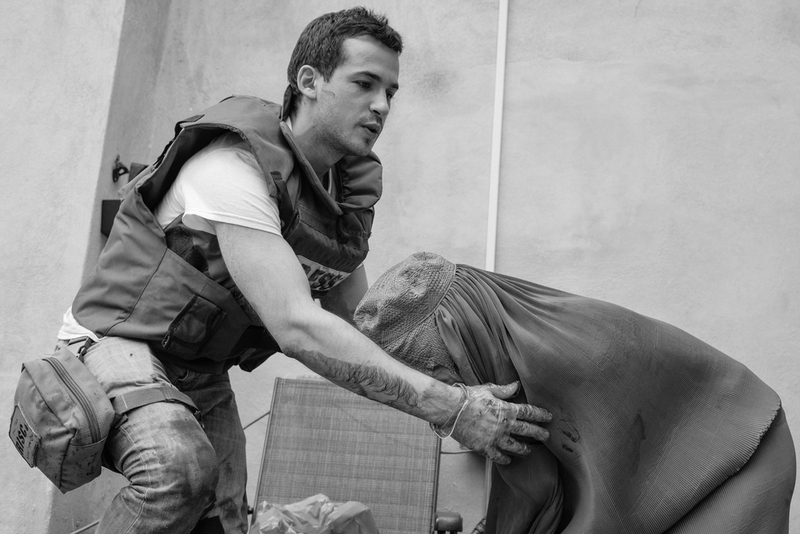 RISC was founded by Sebastian Junger after the tragic deaths of Tim Hetherington and Chris Hondros in Libya in 2011. Although serious, Tim’s shrapnel wounds could have been treated had any of the freelancers he was with known basic medical techniques. Sebastian, knowing that had he been there he himself would have been unable to save Tim’s life, setup RISC to avoid similar tragedies in the future. The course lasts four days and is, for lack of a better word, intense. RISC courses are taught by Wilderness Medical Associates International and cover important life-saving techniques needed for preliminary battlefield medicine. Students rotate between classroom learning and live-training drills. 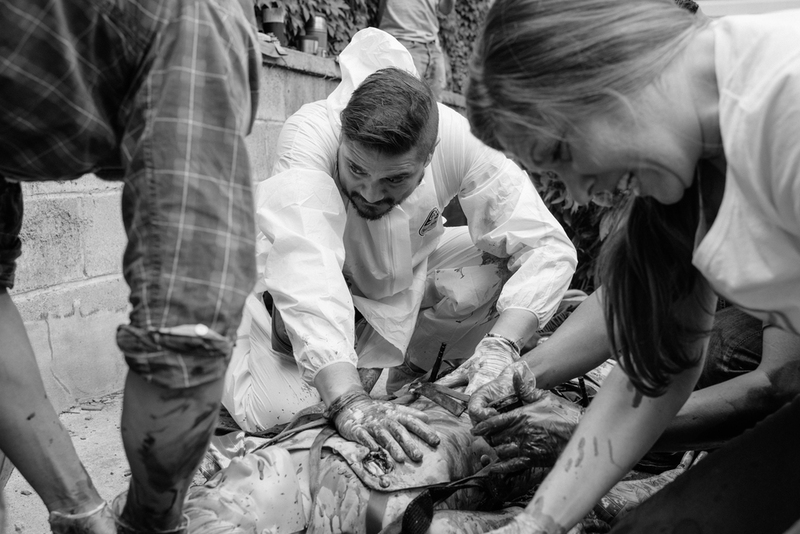 The week culminates with a battlefield simulation in which students have to save an injured colleague amid simulated snipers, mortars, and smoke. Housing costs are covered by the program for the week-long duration of the training, and each student receives a small field-medicine kit at the completion of the course. I was fortunate enough to participate in a 2013 course, and learned invaluable lessons that could someday save my own life, or the life of a colleague. I believe whole-heartedly in the RISC mission, so I jumped at the chance to photograph the class this past week, and did my best to push the RISC name out on Instagram. While shooting, I live-posted iPhone photos on my Instagram account, and the wonderful team over at Roads & Kingdoms handed me the reigns of their account as well. As I’ve been doing lately, I shot almost exclusively with my Nikon 35mm 1.4 and did quick black and white edits to the shots. I truly find RISC to be one of the most important recourses for freelance combat journalists today. 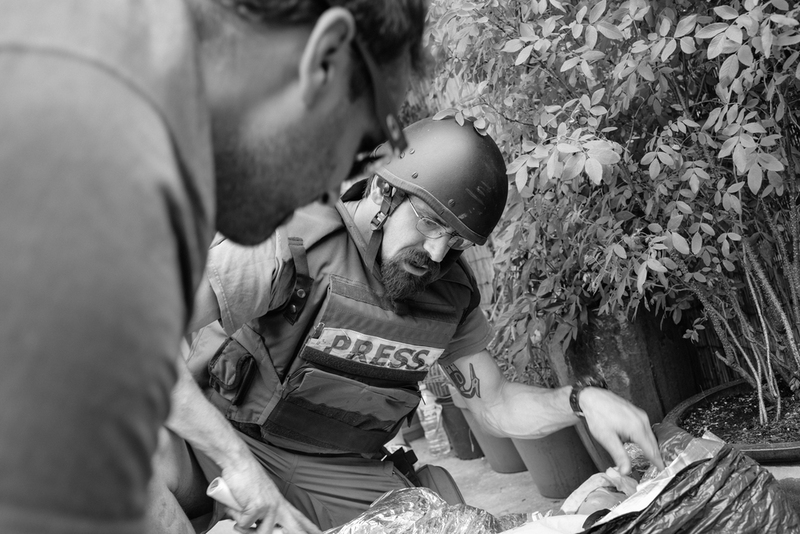 As newsroom budgets continue to shrink, a great bulk of conflict reporting is being done by freelancers. Often these freelancers can’t afford, or simply don’t have access to proper medical training. A four-day intensive medical training class doesn’t turn a photographer into a doctor, but just a little knowledge can go a long way in the situations where conflict freelancers frequently find themselves. I personally feel more secure working in the field after taking the class and knowing colleagues I might find myself with out in the field could have these same skills. A bulk of RISC’s funding is done by private donations, and I strongly suggest helping them out here.